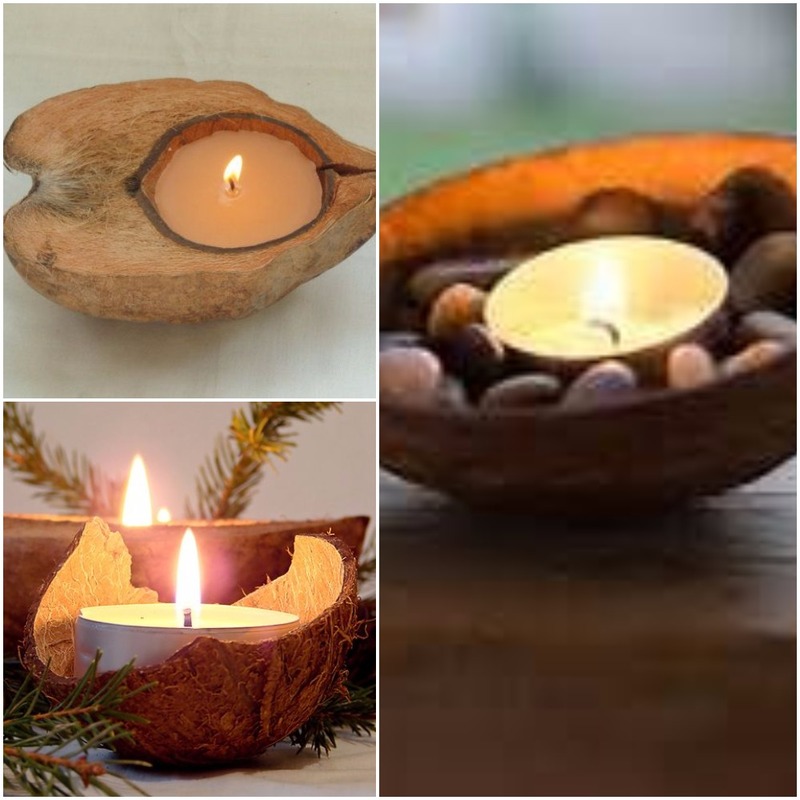 Coconut shells make a great base for many home decoration ideas, here are few of them….. Planting Pots – Turn used coconut shells into beautiful planters like these. 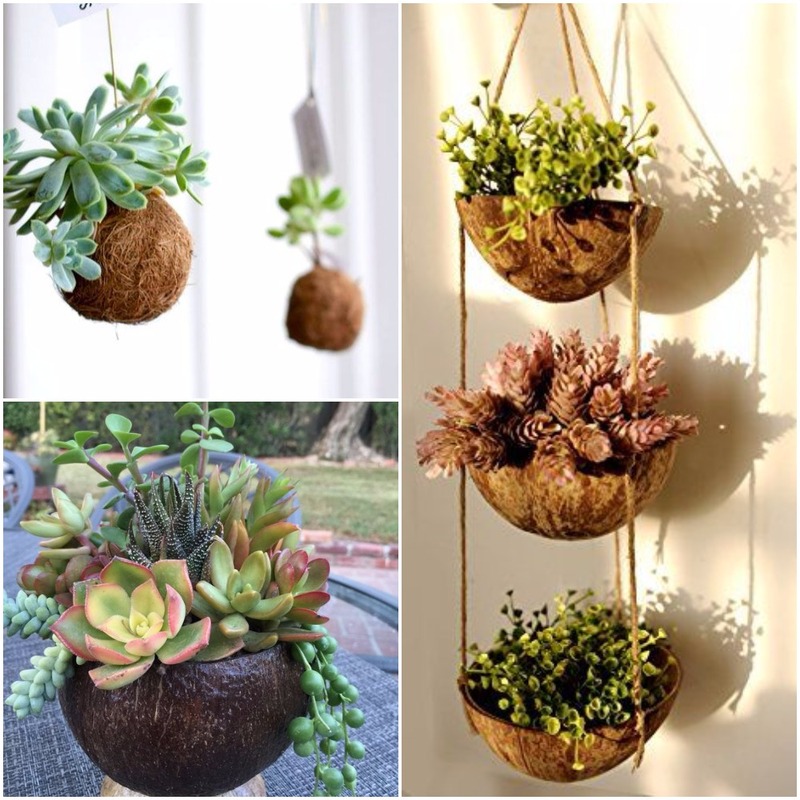 Fill them with succulents and keep them in corners or drill few holes and tie a rope, to make a natural hanging pots for your garden. 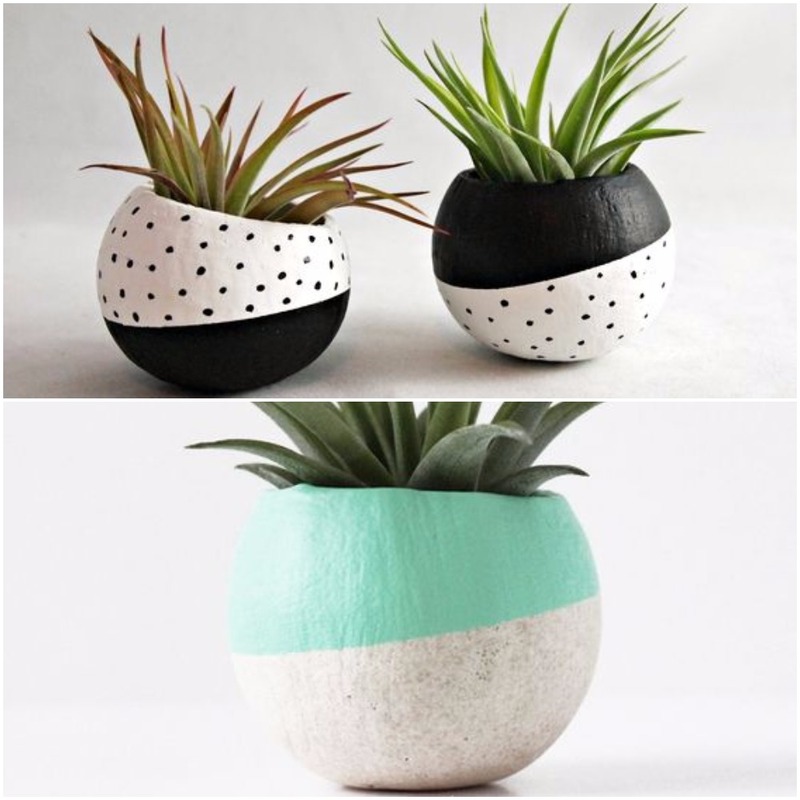 Paint the shells – If you feel that they give a very raw and natural look to your home and does not go with the current interiors, then you can also paint them in interesting patterns and colors to make your own customized set of coconut planters. 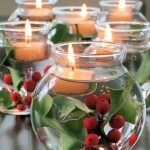 Candles – Turn them into interesting candle sets by filling wax in them. 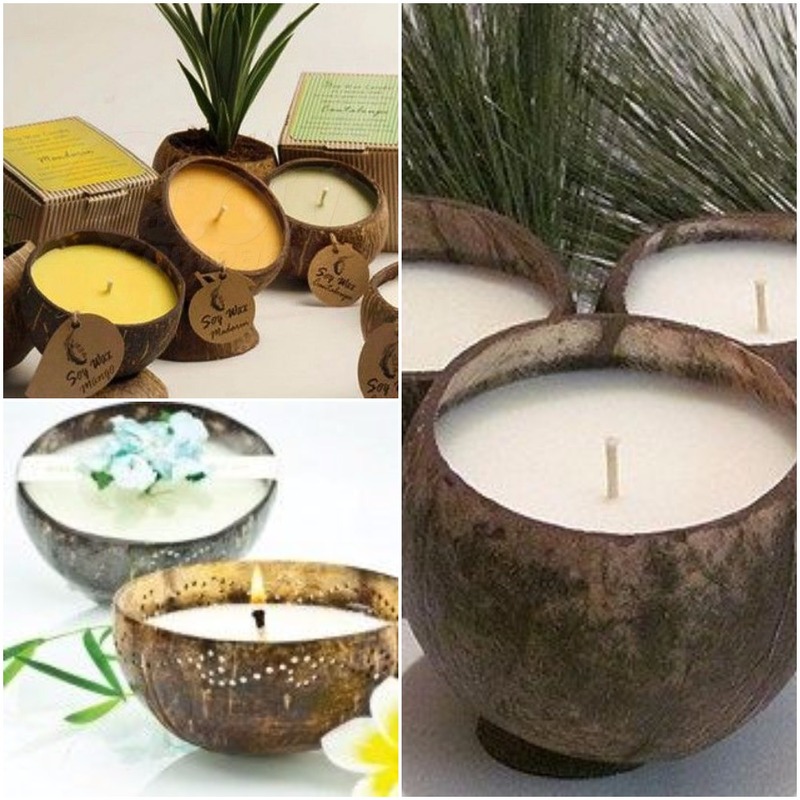 You can create nice aromatic candles for your home and take coconut shells as a base for your ideas, best is that you can refill them. If you want to create a pattern for lights to come through the shell, then create a simple dotted one with a drill like in the second picture. But do so only at the top part to avoid wax coming out of the shell while filling it. 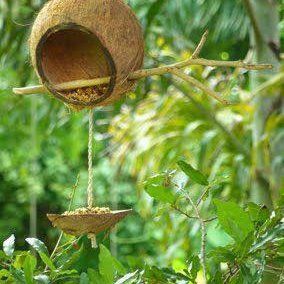 Bird Feeder -Feeding birds gives immense pleasure, and having a good bird feeder really helps. 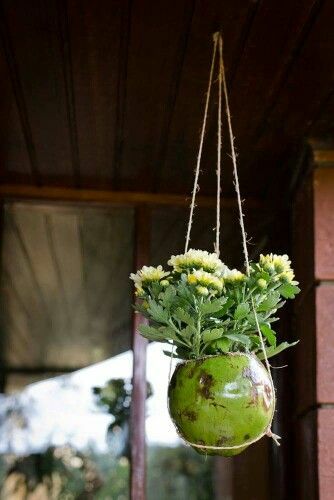 Create one with coconut shells like this. 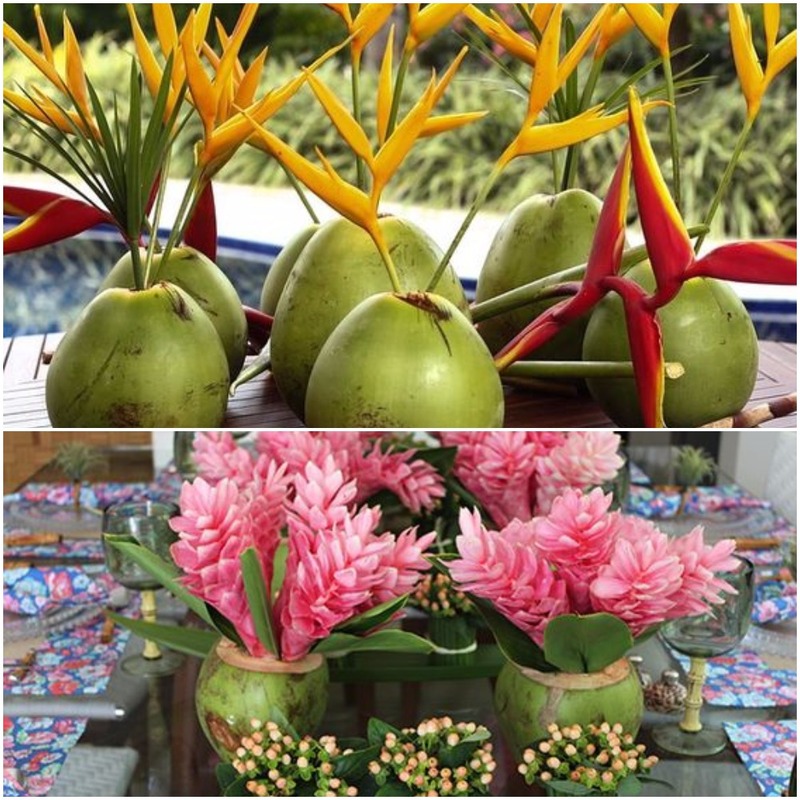 Decorative Center pieces – Decorate home with these simple ideas like place a small coconut with candle in between a water and pebble arrangement. 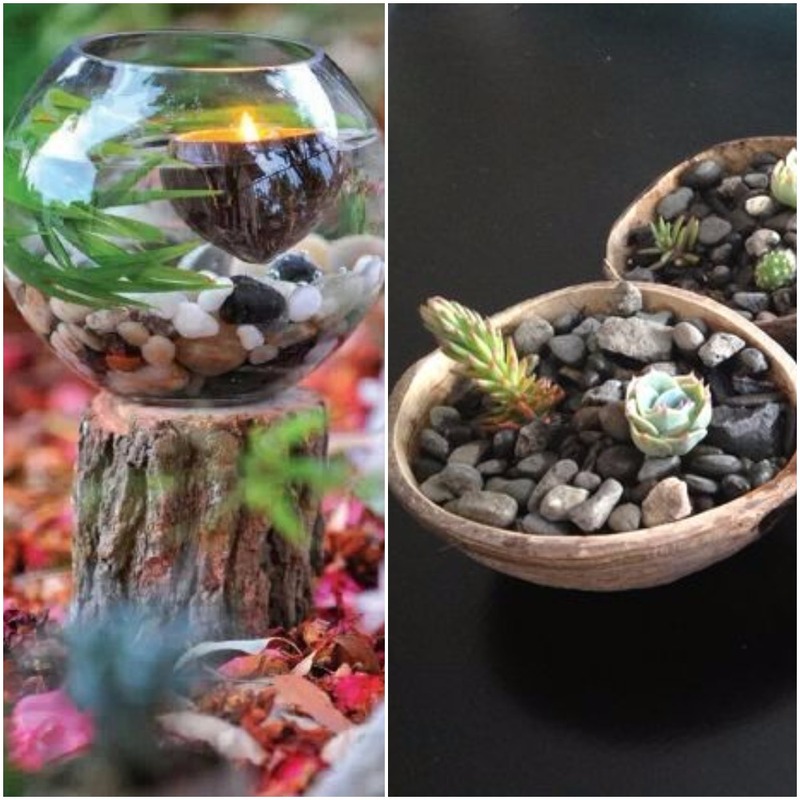 You can also place pebbles and stones in it and add few succulents for your coffee table or for bathing rooms. 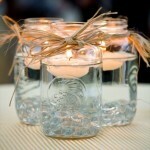 Instant Candle Holder – This is an instant candle arrangement if you do not have time. 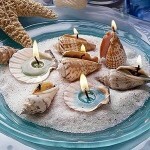 When you have an uneven broken shell then use it like a candle stand and place few store bought floating candles. You can also place few stones at the bottom to keep the candle at place and how you arrange everything is upto your creativity. I would add few flowers and leaves to this arrangement. 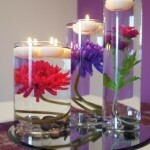 Flower vase – Turn them into a natural flower vase by adding flowers to them.